My Brickell’s architecture and interior design simply scream Miami. With the bright colors and contemporary design courtesy of famed interior designer,Karim Rashid, this newly constructed condominium is one of the top places to live in Brickell. And to live in a brand new studio is the icing on the cake. The studio features stainless steel appliances, Italian cabinetry, Berber carpet throughout the residence, and a washer and dryer in the unit. On top of that, water and basic cable are included in the monthly rent. At My Brickell, there is exclusivity about living here because each floor has only eight units. On top of that, residents can walk to everything. 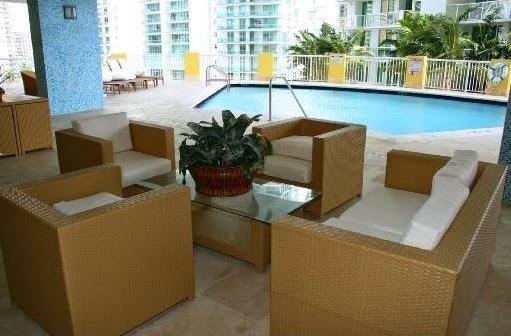 Rental rates at My Brickell range from $1,550 for a studio (this one) to $3,500 for a two-bedroom/two-bath. As a comparison, recent rentals indicate that studios rented over the past three months have done so with monthly rates between $1,500 and $1,700. My Brickell definitely brings the cool factor to where you live. With all the new buildings coming up, there is still something about a classic Miami condominium. 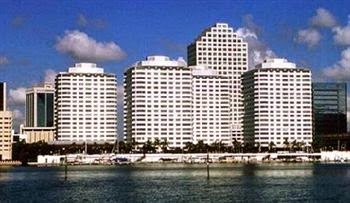 Four Ambassadors is a four-building condominium situated in a perfect location facing Biscayne Bay. This studio has a recently renovated kitchen with stainless steel appliances and new countertops. For a studio, this is very spacious and offers great views. In terms of size, it is as big as some one-bedroom residences with almost 600 square feet of living space. Four Ambassadors has a ton of amenities including a resort-style pool, on-site restaurants, a marina, valet parking and more. This property is offered on an annual basis and unfurnished. Rentals at Four Ambassadors typically range from $1,600 for a one-bedroom to about $2,500 for a two-bedroom unit. The only studio to rent over the past three month had a $1,700 monthly rate. This is the perfect unit for someone who wants to be in the heart of Brickell and on the water. The best part is it is ready for move-in. 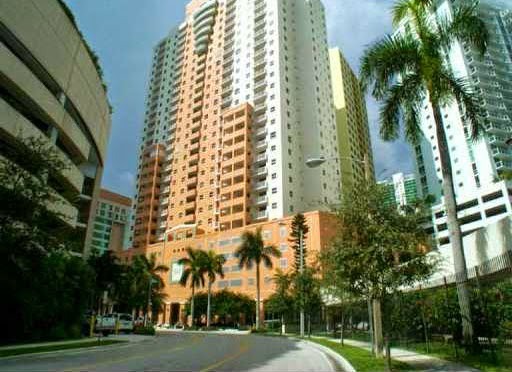 Fortune House is the ideal place to live for those who work in the financial district of Miami. This unit features one bedroom and one bath, one assigned parking spot in a covered parking area, and valet along with a washer and dryer in the unit and a nice balcony to enjoy the lovely Biscayne Bay breezes. Because Fortune House is what we call a condotel (condominium/hotel), it offers residents access to amenities found in hotels like a great pool with barbeque area, fitness center with Jacuzzi and sauna and so much more. 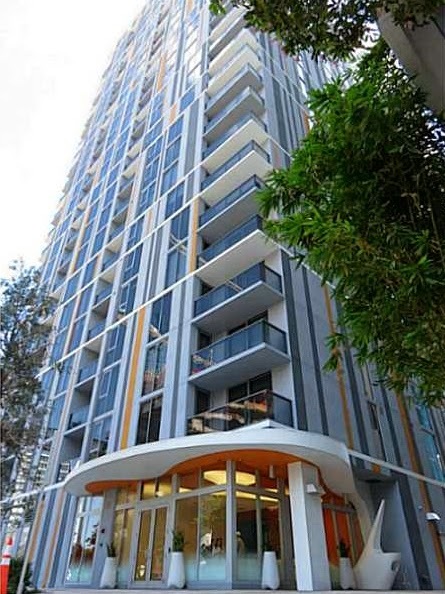 This furnished rental is available as either short or long term rental. Rental rates usually range from about $1,600 for a one-bedroom to about $3,500 for a two-bedroom unit. In the past three months, one-bedroom units similar to this one have rented for $1,700 to $2,100 per month. The Sail on Brickell is a fairly new condominium built in 2006 and located just off Biscayne Bay. This unit features one bedroom and one bath as well as a great kitchen with stainless steel appliances, lots of counter space and cabinet space. Other features include a bath with marble counter tops and shower walls as well as a nice balcony off the main living area. The Sail on Brickell has great amenities including, 24-hr security, covered parking, concierge, a nice pool with outdoor living areas, a spa and fitness center, his and her steam rooms, an on-premises dry cleaner and convenience store and more. It is centrally located in the heart of Brickell and within easy walking distance to Brickell Avenue, financial area, and great restaurants and shops. Rental rates at the Sail on Brickell usually range from about $1,700 to about $3,000 for a two-bedroom residence. Over the past three months, there have been two one-bedroom units that have leased for a monthly rental rate between $1,700 and $1,750. This is a fantastic rental in an even better building. Where do we start with this rental? Well, the view from the balcony is probably the biggest attribute of this one. 1060 Brickell is only a few years old and one of the most unbelievable condominiums in Miami. It has a very metropolitan feel to it with its two-story lobby and the lush tropical landscaping surrounding it. Residents enjoy a gorgeous outdoor pool along with valet parking, a home theatre with multi-media capabilities, fitness center with spa and more. Inside the studio unit, there is a great kitchen with custom cabinetry, stainless steel appliances, and tiled back splash. The unit is large with well over 500 square feet of living space (many Brickell one-bedroom units are the same size) and as we said earlier, spectacular water views from the balcony. Rentals rates at 1060 Brickell typically range from about $1,700 to about $5,000 depending on the location, number of bedrooms and size of the unit. Over the past three months, studio rental rates have fallen between about $1,500 and $1,700. 1060 Brickell is a great place to live as it is in the center of everything in Brickell. 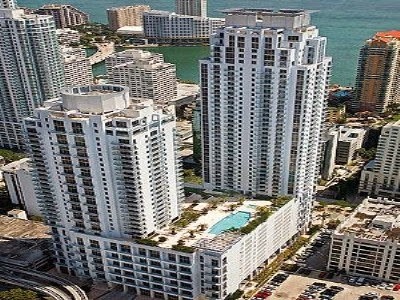 One of the best things about living here is that there are always lots of Brickell rental opportunities. The area is affordable and gives most any renter the ability to live in a great condominium with tons of amenities and living space all within the center of Miami.